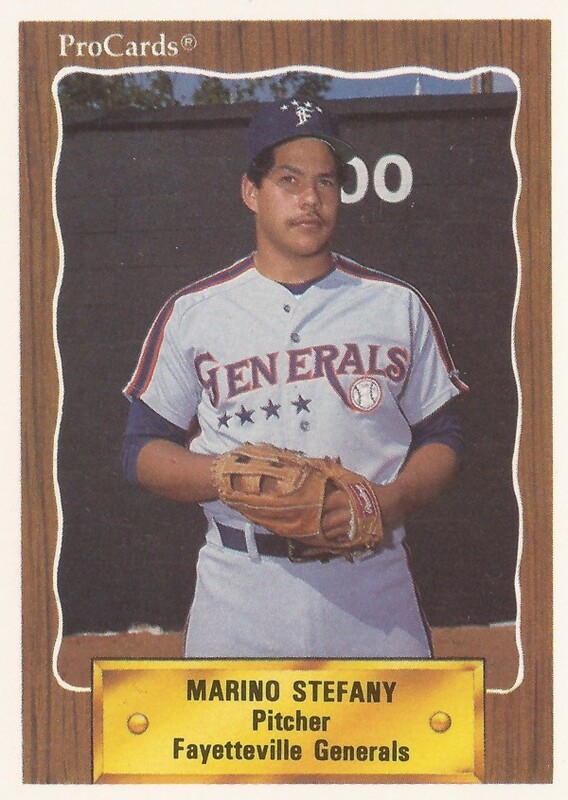 Marino Stefany did something in this July 1990 game that he rarely got to do that summer: Save a game. He got that save for the single-A Fayetteville Generals by going three full innings - and getting past a leadoff, ninth-inning triple for a 3-2 victory, The Fayetteville Observer wrote. 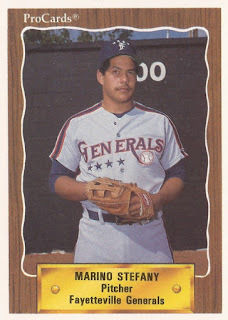 "The pitching was outstanding tonight," Generals manager Gene Roof told The Observer afterward. "Anytime you give up only two runs you have to be pleased. When you have a guy at third and nobody out and get out of it in the ninth, that's outstanding pitching." Stefany pitched well that year, but it wasn't enough. That season marked his second season in the pros. It also marked his final season. Stefany's career began in 1989, signed by the Tigers as a free agent out of his native Dominican Republic. Stefany started with the Tigers at rookie Bristol. In 19 relief outings, Stefany went 5-0 and picked up two saves. He also had a 3.68 ERA. He moved to Fayetteville for 1990. Over 40 relief outings, he went 6-5, with that single save. He also turned in a 2.01 ERA, but he didn't return for a third campaign.